Formerly a café dating back to the late 1800 s the property has recently undergone total restoration that has retained much of the character of this wonderful building. Offering luxury three bedroom accommodation you can soak up the atmosphere of this lovely old town. There are numerous bars and restaurants on your doorstep offering quality French fare. Within a few minutes walk you can discover the chateau where Henry II of England regularly visited with his wife Eleanor of Aquitaine. We are open all year round and whether you are looking for that long weekend away or a longer holiday in historic Normandy we have the perfect location for you. As a bonus we can offer you 20% off all standard Brittany Ferries fares making your holiday even more affordable. Code will be issued on booking. We live in Dublin and have been visiting France for a number of years. 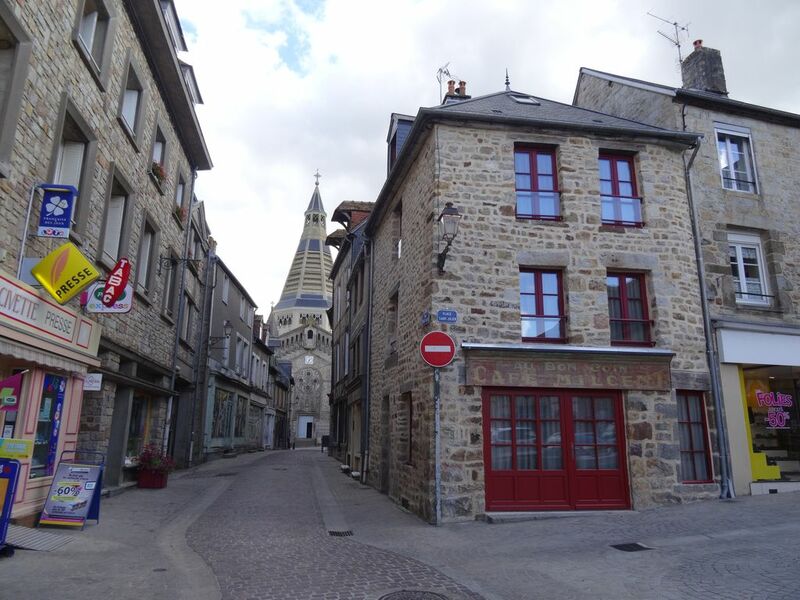 Our daily lives are busy and the lovely property we acquired in Domfront provides us with the opportunity to escape and just relax in the lovely town of Domfront and discover the stunning Normandy history. Whilst we do not l live in France our property is fully managed by Samantha & Glenn Turner who have substantial experience managing property. They will ensure that you have a comfortable stay and are on hand to deal with any issues you may have. The property required total renovation which has taken 4 years to complete. Located in the heart of Domfront the property falls within a historic conservation area. When carrying out the renovation we had to ensure none of the unique features were lost and we were keen to ensure all work was carried out sympathetically. To ensure none of the character was lost we employed a specialist architect and local craftsmen. The house has been transformed and now provides a wonderful holiday home. In addition there is also a basement area with a WC and Washer and Dryer plus a storage area. The property provides spacious accommodation and is ideally located for discovering historic Normandy. After a day of touring the area you can relax and experience a different restaurant each evening without the worry of someone driving. Everything you need is minutes away. What a beautiful gite! Everything was new, clean, tastefully decorated, and of the highest quality. Glenn and Sam met us with a warm welcome and basket of goodies so that we would have everything we needed for our first night. We chose to stay in Domfront because of its central location for visiting other places in Normandy, such as Bayeux , the D-day beaches, and Mont Saint Michel. What we didn’t expect was to fall in love with Domfront, itself. It was probably the highlight of our trip (which included visits to London and Paris). We are already planning a return trip at some point in the future. Beautiful town, beautiful property, beautiful hosts.